Maruti Suzuki’s Swift is one of those evergreen models that continue to sell irrespective of changing market scenarios. Ever since the first India model of the Swift was launched, it has found place in the hearts and minds and garage spaces of people across the country. Marketed as a ‘sporty’ model, the Swift appeals to the young at heart and the sensible buyer as well. For its 1.2-litre petrol engine is fairly peppy and reliable and the 1.3 diesel’s turbocharged nature appealed to buyers who wanted a similar fun to drive experience while being light on the pocket. 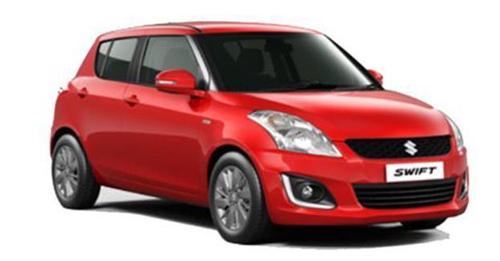 This appeal of the Swift continued with the second generation of the model launched in India (the current car). While it became lighter, bigger, more spacious and better equipped with a slightly better interior, the powertrain for both diesel and petrol models remained identical to the first-generation car. A mid-life update saw the car become more fuel efficient. And this format of generational evolution will continue onto the new model that will come with a better interior, more equipment and a lighter kerb weight. But powertrain duties will continue to be served by the tried and tested 1.2 litre, K-Series petrol engine while the diesel model will as earlier be powered by the Fiat sourced 1.3 litre, MultiJet oil burner. What will be new though is that for the first time in India, the Maruti Suzuki Swift will be offered with the choice of an automatic gearbox. When I say automatic, I mean the more affordable and efficient automated manual transmission (AMT). This will be offered in both petrol and diesel models to make the Swift appeal to an even wider customer base. So, while that has the basics covered, here is a closer look at how the new Swift compares to the outgoing second-generation model. The new car's petrol engine is likely to be slightly detuned in the interest of better fuel efficiency. The new car is lower and wider than the outgoing car, however slightly shorter in length. The new car also has a smaller fuel tank. 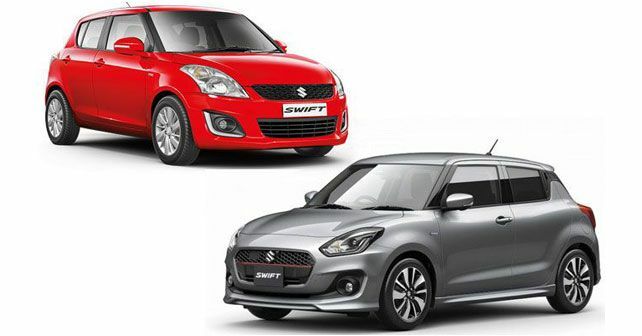 The new Swift will gain Suzuki's new infotainment system which serves duty in all new models from the company.